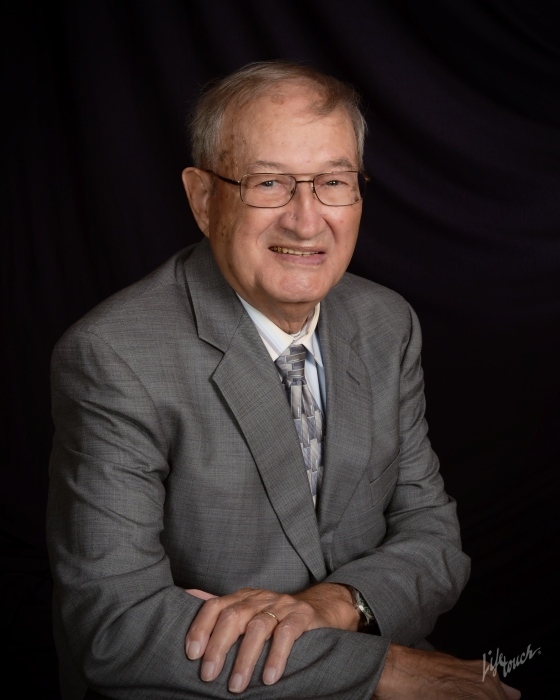 RB Earl Mahler, age 89 of Osceola, went to be with the Lord on Thursday, April 11, 2019 at the Center for Hospice in Elkhart. RB was born October 17, 1929 in Elkhart, Indiana to the late Melvin Earl and Leona (Snyder) Mahler. The Jimtown High School graduate enlisted in the US Army in 1951 and obtained the rank of Corporal during his time in the Korean conflict until his honorable discharge in August of 1953. Upon his return home from the Army RB married Anna Marie Raab at the Jamestown United Methodist Church on September 6, 1953. Anna preceded him in death, passing away July 7, 2018. At the time of her passing, they had celebrated 64 years of marriage. Surviving are his children Cheryl (Jeff) Cabanaw of Osceola, Pamela (Kurt) Siebert of Mishawaka, Kathie (Clay) Nash of South Bend, Nancy Mahler of Osceola, Ronald (Brenda) Mahler of Elkhart, Lora (Chris Geyer) Mahler of Osceola, and Loren (Dawn) Mahler of Worth, Illinois. Also surviving are 16 grandchildren and 10 great grandchildren. RB is survived as well by his sisters Beverly Albert, Gloria Johnson, and Bernie Miller. He was preceded in death by many of his siblings. Visitation will be held on Monday, April 15, 2019 from 2-4pm and 6-8 pm at Cruz Family Funeral Home in Osceola. There will also be one hour of visitation prior to the 10:00 am funeral service on Tuesday, April 16, 2019 at the Jamestown United Methodist Church, 59218 County Road 3, Elkhart, Indiana. Interment and Military Honors will follow in Olive Cemetery, Elkhart. RB was employed as a young man hauling cattle and farming for Shorty Cook. He later worked at Toby’s Gas Station in Osceola and spent many years electroplating metal at McDowell Enterprises until his retirement at the age of 65. He was also served on the Penn Township 4H Advisory board, was a Swine Leader in Penn Township, and recognized for many years as a Friend of 4H. In lieu of flowers, the Mahler family requests that donations be given in RB’s name to the St. Joseph County 4H Scholarship Fund. To leave an online condolence, view RB’s online video tribute, or share a memory with his family, please follow the links provided on the Tribute Wall tab above.